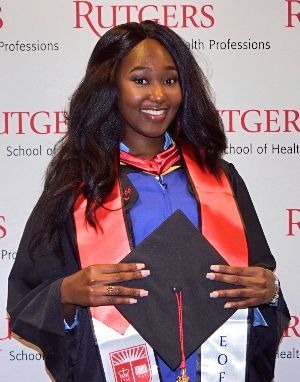 Rutgers School of Health Professions EOF program puts financially and academically disadvantaged students on a path to a college education. The EOF program focuses on low-income, first-generation students who want to pursue careers within the health professions. It provides a supportive environment through a combination of academic ‘intrusive advising,” workshops, and academic support services. Eligible students can receive financial assistance for tuition and books, as well as additional academic, personal and social support to help them successfully transition to Rutgers. Find out below if you are eligible. For questions, contact Enrollment Management at 973 972-5454 or email Assistant EOF Program Director Brett Pulliam at brett.pulliam@rutgers.edu. Listen to Medical Lab Science student Safiatu talk about how EOF helped her to succeed. Educational Opportunity Fund Retreat Sets Disadvantaged Students up for Success in College, Rutgers Today, Sept. 7, 2017. Grants are generally available to students from families with a background of poverty whose annual income falls within the EOF Income Eligibility Scale, and who meet the academic criteria set by Rutgers School of Health Professions’ EOF office. Families who have accumulated assets do not qualify for financial assistance through the New Jersey EOF Program. Is a legal resident of the state of New Jersey for at least twelve consecutive months. Is or will be enrolled full time (12 credits) in a SHP undergraduate program. Has not completed a bachelor’s degree. Has an economic background that reflects a history of low income. Show proof of income that falls within the state mandated guidelines. The Rutgers School code to be used on your FAFSA is: 002629.